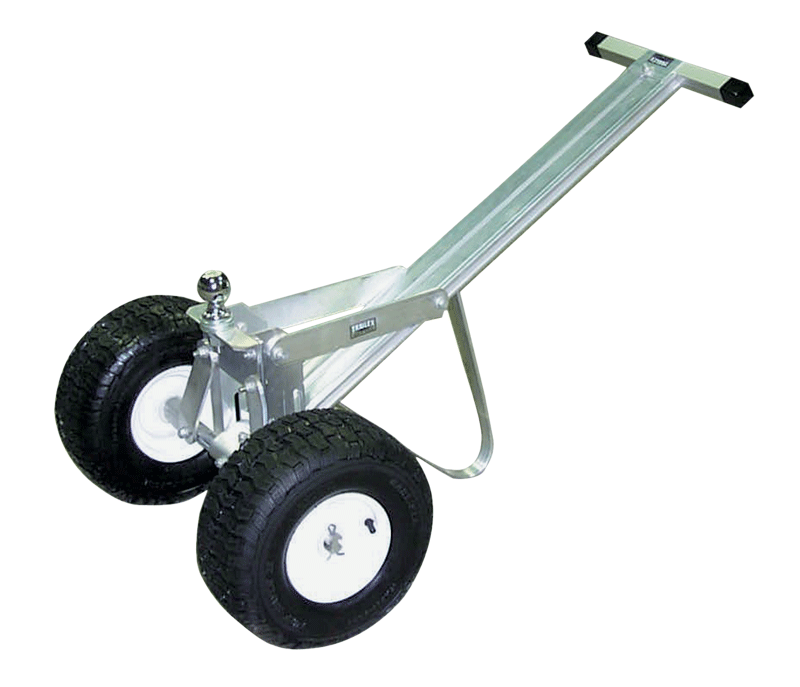 This heavy-duty lightweight aluminum dolly is designed to maneuver trailers in tight spaces. The wide air filled tires roll easily over uneven surfaces. It quickly disassembles for storage and shipping. Includes 2â€ ball and has a maximum tongue weight of 300 lbs. (Can be ordered with a 1 7/8" or 2" ball).